The Website is Dead – Long Live the Website! 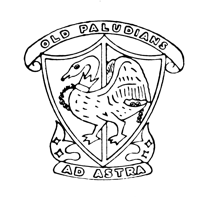 Twenty years or so ago the Old Paludians Association did not have a website. Then we created one using any webspace we could beg, steal or borrow, and populated it with all the SSS/SGS/SHS school photos we could lay our hands on. We created one of the largest such websites at that time (apart from Friends Reunited) and helped our membership increase substantially. Then, around 2005, we realised we needed to provide edit capability for members and so we migrated our website to the Wikispaces format;the idea being that everyone could contribute to identifying fellow pupils in school photos and reviving old memories. Ten years later, and we began to feel the absence of social networking facilities in our website and interconnectivity with the School’s website, and thought that this was holding back our attempts to involve recent students at the School – those youngsters who live and breathe social networks. In 2017, the Committee was fortunate in co-opting Rajesh Sharma (1981-87), who has some experience in the social networking side of websites. He has been developing the next generation of our website – which was rather good timing, as this February we heard that our current home, Wikispaces, would be closing down their business on 31 July 2018. However, Rajesh is poised ready to substitute his new website any day now, giving us a seamless handover. There will be an initial switch to the new web format shortly and we hope to be able to demonstrate it at Reunion 2018. Further features will be added over time to help us broaden and deepen the bonds between Old Paludians. The Old Paludians Association made a surplus in 2017 of £1,100 (2016: loss of £739). At the beginning of the year the Committee resolved to maintain the reserves at around £1,500 and not to incur any more losses like those incurred in previous years. Donations of £1,129 were received from members of the OPA prior to the Reunion in March. The Committee resolved to donate £1,000 to the school. Instead of (as in previous years) donating commemorative books to the library, the Committee resolved to donate to two projects suggested by the school, totalling around £1,000. The first of these, two wireless head microphone sets for the Drama Department costing £448, was paid. A further £500 for part of the cost of a drinking fountain had not been spent by the end of the year. A further £701 in donations was received from members in the autumn. The Committee has not yet allocated these funds to any particular project. The Reunion Day income and expenditure showed a surplus of £140. In addition, the raffle at the Reunion raised £305. This money was effectively used to fund printing, postage and storage. In May the Association was able to give up its commercial storage space for the archives, which are now stored in the school, with a consequent cost saving. The cost of the storage up to May was £258 (full year 2016: £939). The balance of the Old Paludians Association’s funds at 31 December 2017 was £2,736 (2016: £1,636), with the £500 drinking fountain donation yet to be made.